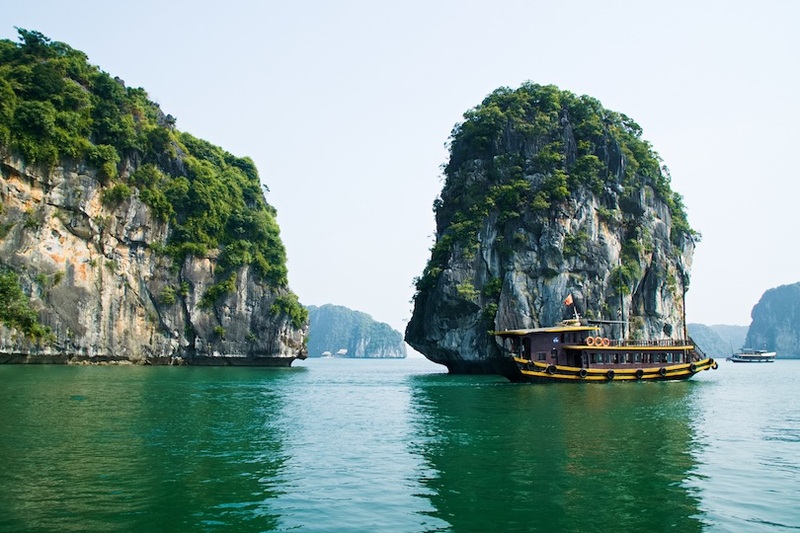 Halong Bay is pretty much the most iconic landmark of not only northern Vietnam, but the whole country. 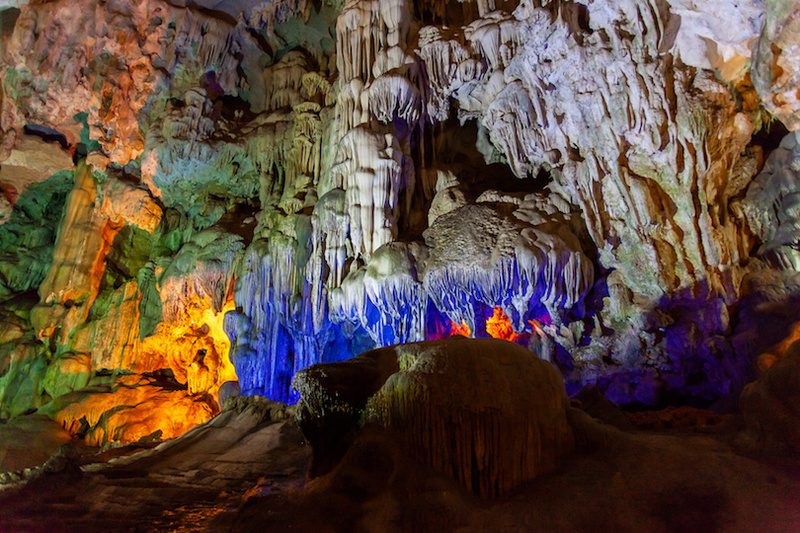 It’s a magical wonderland of limestone karst formations that jut out of the water for a truly mythical and atmospheric spot of natural scenery. 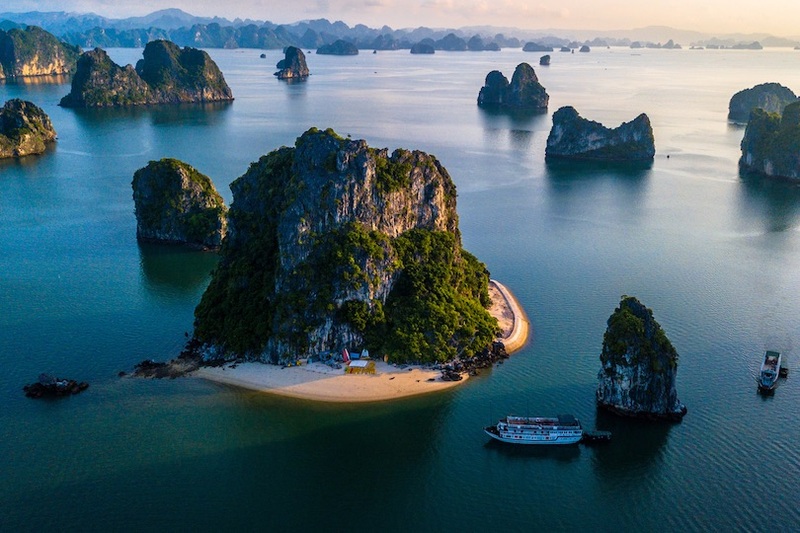 On this tour, you’ll be picked up from your hotel and driven all the way from Hanoi along the Red River Delta to Halong, where you’ll hop aboard a traditional wooden Chinese junk from Halong for a very scenic cruise through the amazing karst landscapes. One of the best things about this tour is the food. It’s Vietnam, how could it not be tasty? So you get to have a delicious seafood lunch on the junk itself. 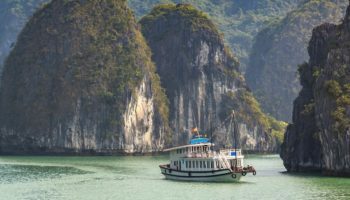 And then when you’ve had enough to eat and you’re feeling fully satisfied, you can take a kayak out – or go on a bamboo boat ride – and really get to grips with the little islets that dot the storied waters of Halong Bay. The knowledgeable local guide not only informs you about the history of the area, the islands, and the formation of the landscape, they really make sure the day runs as smoothly as possible. 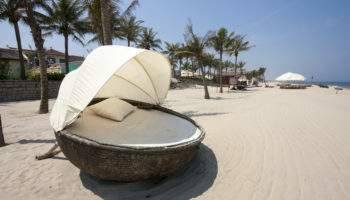 This is truly the kind of tour that will make you fall endlessly in love with Vietnam. Then simply get whisked back to your hotel. 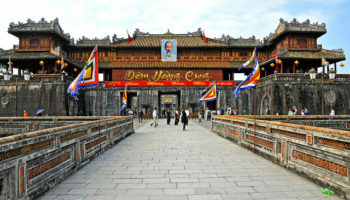 When visiting Vietnam, Ho Chi Minh City is often a major destination, and a worthy one. 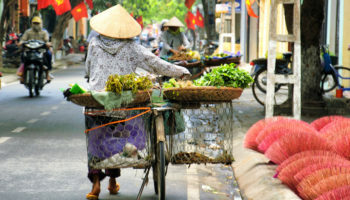 However, this bustling city is only a glimpse into urban Vietnamese life. By exploring beyond the city limits, you’ll have a more authentic look at local culture. 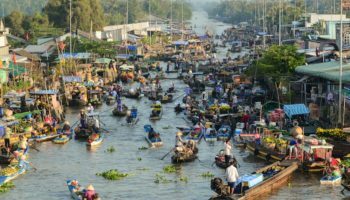 A day trip from Ho Chi Minh City to Mekong Delta is a fantastic way to get to know a more rural side to Vietnam, and along the way you’ll get to see everything from local bee farms to traditional fishing villages. 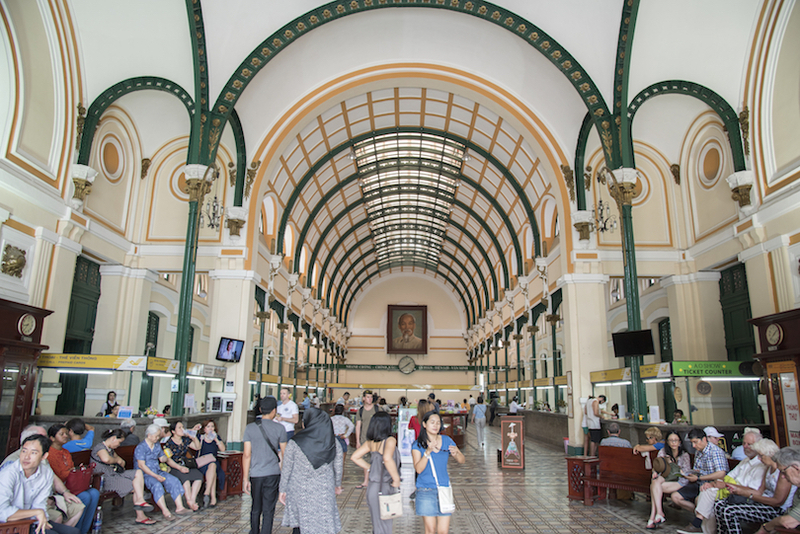 Meet at Saigon Opera House to board an air-conditioned bus leaving Ho Chi Minh City and heading toward My Tho, a former naval base on the Mekong River. Once in My Tho, the method of transport will switch from bus to long-tailed speedboat. 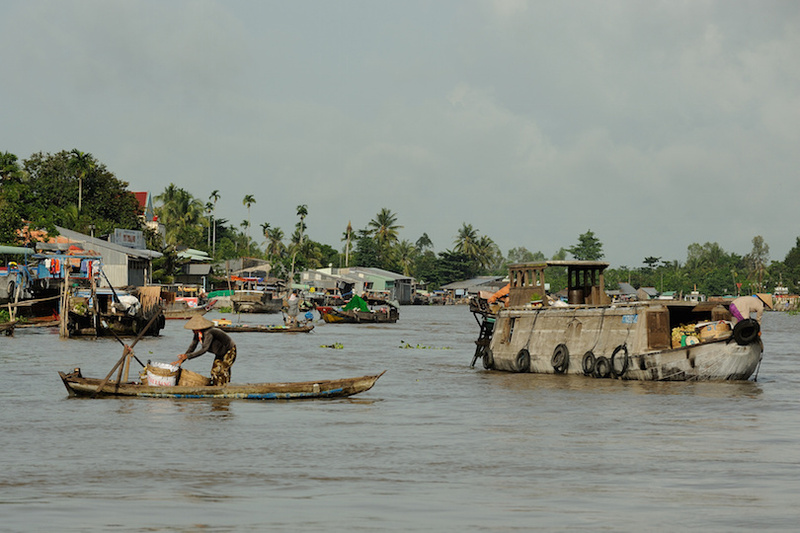 As you begin the journey along the Mekong River, your guide will offer a history of the region and the importance of the Mekong Delta for agriculture as well as development. At the first stop, a lush island, you’ll have the chance to sample tropical fruit. Then it’s back on the boat to the next island, where locals make coconut candy that you can also taste. Tour the candy factory and see how modernization is blending with local life. As you continue along the river, be sure to take plenty of photos. 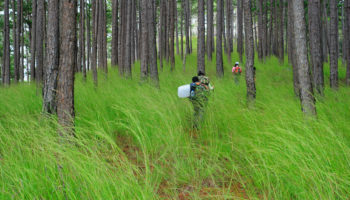 In addition to the scenic landscapes, there will be several local villages. 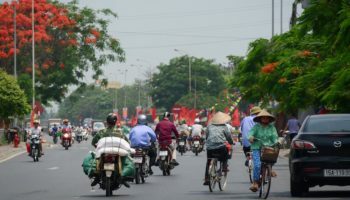 The way of life is a total contrast to the hustle and bustle of Ho Chi Minh City. The next stop takes you out of the speedboat and into a small motorized cart, the perfect means of transport for a tour of a local bee farm in Xe Loi. 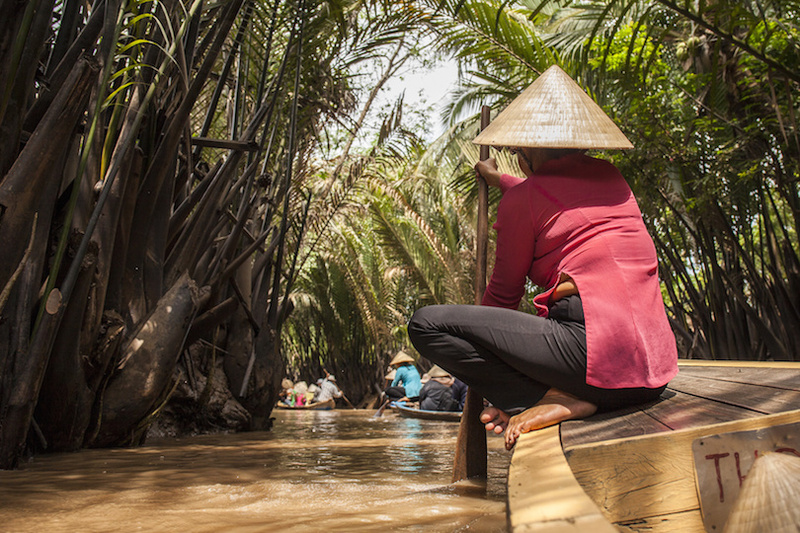 Then, it is deeper into the river delta on a rowing boat, bringing you a truly unforgettable experience of the Mekong River. For lunch, it’s authentic cuisine at the Diem Phuong Restaurant, after which you can relax and enjoy the ride back into Ho Chi Minh City. visit from Ho Chi Minh City to the Cu Chi Tunnels. 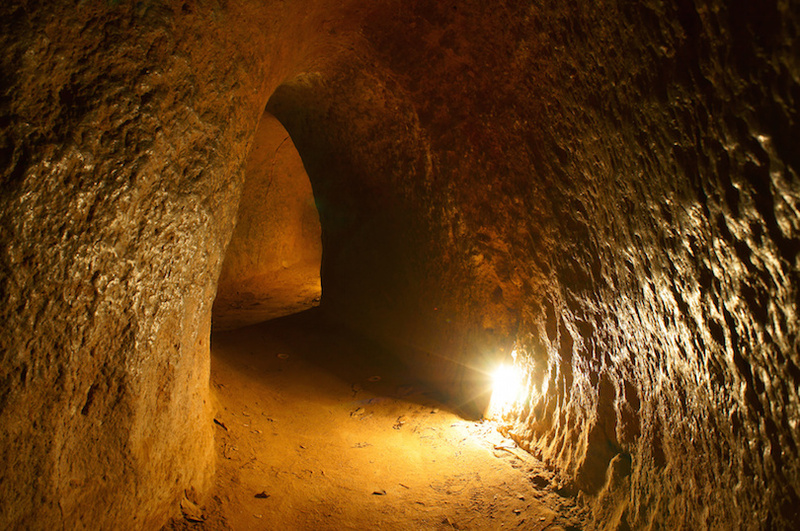 This elaborate underground system, which boasts over 120 miles of tunnels, was where countless Vietnamese lived, often for months at a time, during both the French occupation of Vietnam in the 1940s and the Vietnam War afterwards. This half-day tour begins in Ho Chi Minh City, where you’ll be picked up and transported to the city of Cu Chi. There will be a maximum of 16 people on your air-conditioned coach, so you’ll have the chance to speak with your guide about the history of Cu Chi and ask questions about its development. Despite the enormous scale and sophistication of the tunnels, almost all were built by hand with simple tools during the 1940s and beyond. There was no large-scale equipment, bulldozers or modern machines we might think of to construct such an enormous underground community. Upon arrival, it’s time to head underground. Much of the tour is subterranean, letting you get a real feel for what life was like for the thousands that lived and worked in these tunnels in decades past. You’ll hear stories about parents who gave birth to children underground, got married underground, slept underground and even attended makeshift underground schools. 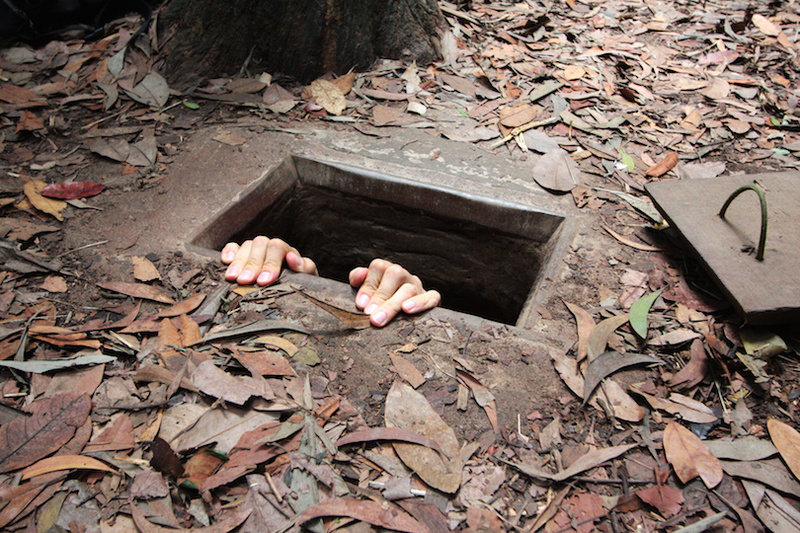 Exploring these tunnels, and seeing the tremendous hardships faced by the residents of Cu Chi, can shed light onto Asian conflicts and help you better understand their struggles. Back above ground, your bus will be waiting to return you to Ho Chi Minh City, a ride that is just over one hour long. For more incredible limestone karst peaks rising out of the flat landscape, head to Hoa Lu. 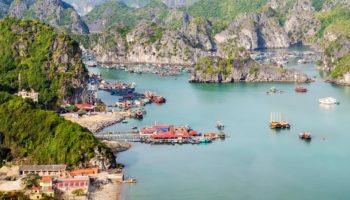 This place is like Halong, but on land. 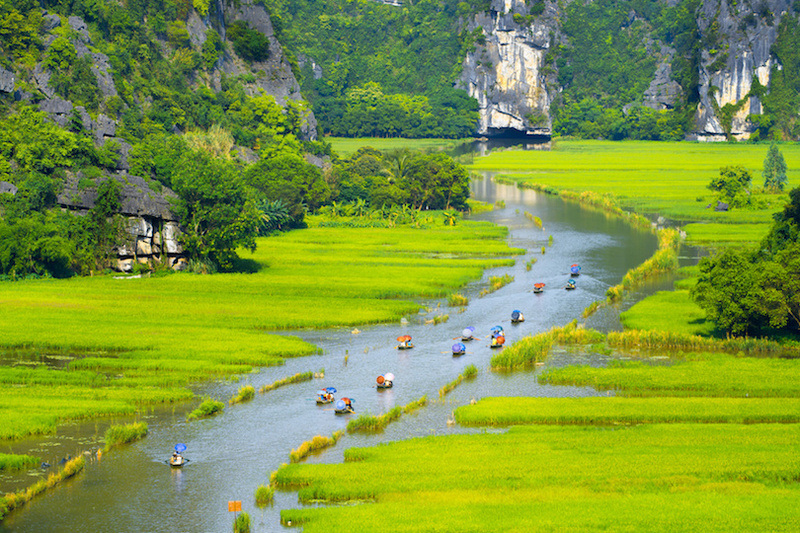 Here, the karst mountains jut out from luminous green rice paddies for one of the most picturesque scenes you’re likely to encounter – outside of Halong Bay itself. 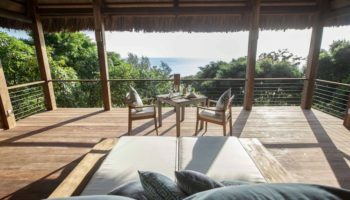 This is the perfect spot for keen photographers, or even if you just want to take a few snaps for Facebook because almost every picture you’ll take here will be absolutely stunning. 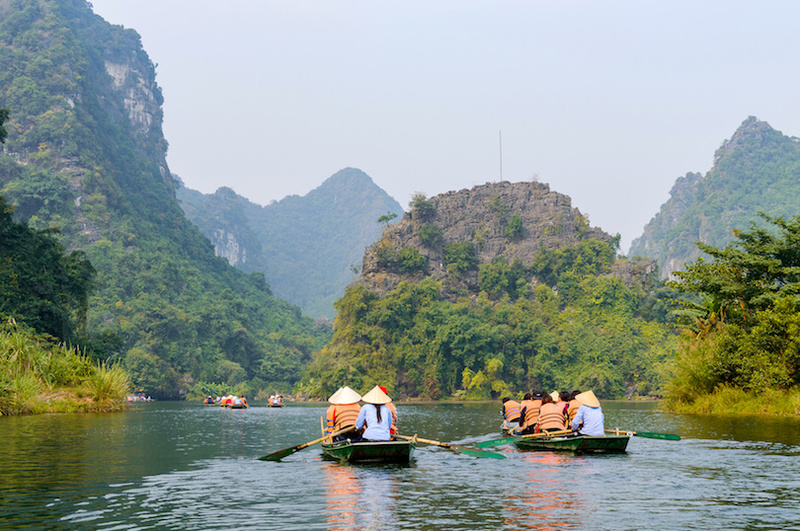 Set in Ninh Binh Province – once home to the ancient capital – you’ll see 10th-century temples, crumbling ruins of royal palaces, and then take a relaxing boat ride through the breathtaking scenery – all the way to the amazing limestone caves of Tam Coc. Or, if you’re a little more active, you’ll probably love the sound of a countryside bike tour. This takes you weaving through the beautiful rice paddies to Bich Dong Pagoda. 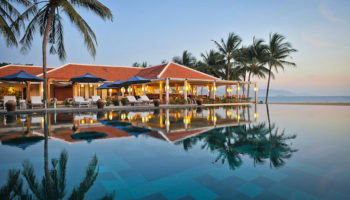 On this day trip, you won’t have to worry about getting hungry; the whole thing comes complete with a Vietnamese buffet lunch packed full of local flavor. 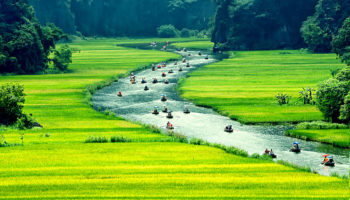 All in all, this is yet another excellent chance to witness Vietnam’s natural beauty. 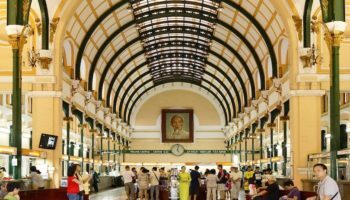 Ho Chi Minh City – formerly known as Saigon and once the capital of South Vietnam – is a big, brash, modern city, filled with big boulevards and a whole lot of traffic. Getting around this city can be a little bit tricky, so why not make it easier with a local guide? 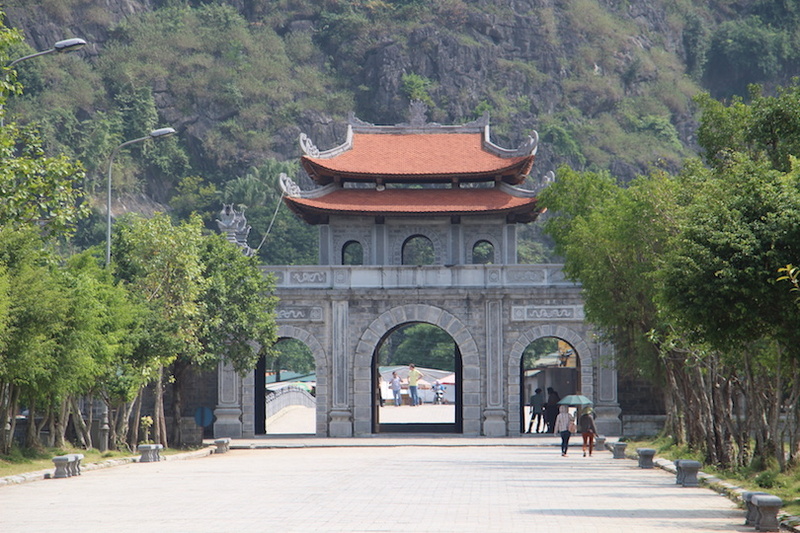 This tour is the perfect way to understand more about Vietnam – its people, its culture, and its long history. Your friendly tour guide will show you all around the most famous (and lesser visited) spots of the city and will be able to impart local knowledge about the area that you wouldn’t be able to read in a guidebook. The Reunification Palace is one such sight. This impossibly cool 1960s building is packed full of impressive design and a whole lot of modern history. 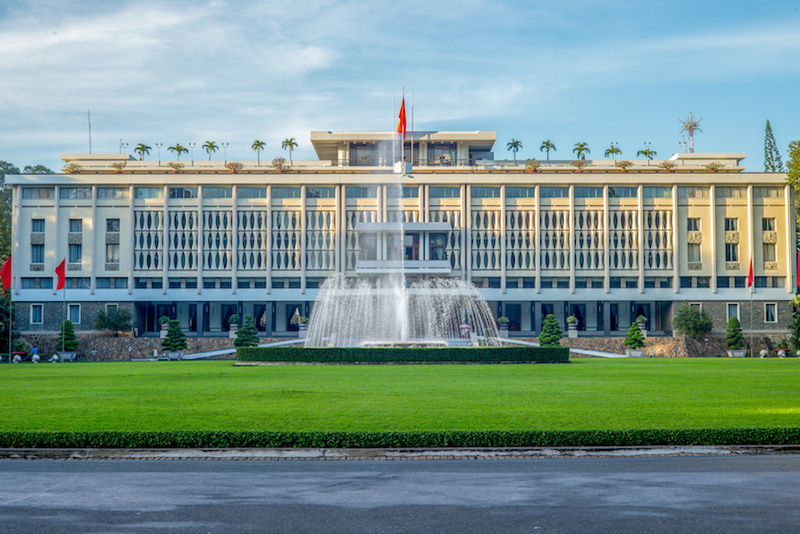 You’ll also learn about Vietnam’s recent history at the War Remnants Museum. There’s the opportunity to see the French influence in the beautiful Notre Dame Cathedral, and, of course, the Central Post Office next door – it’s still in use! 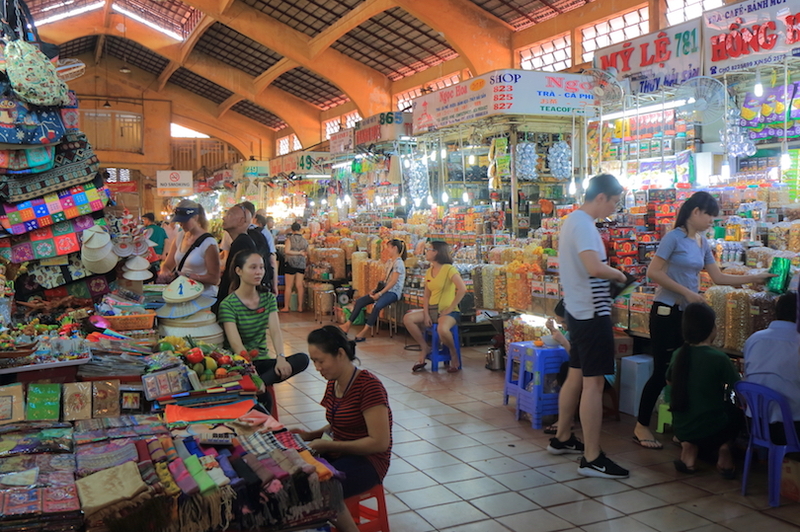 Then get ready for an afternoon exploring the Chinese district of Cholon and Ben Thanh Market to pick up souvenirs – not before you partake in a tasty Vietnamese lunch, though!